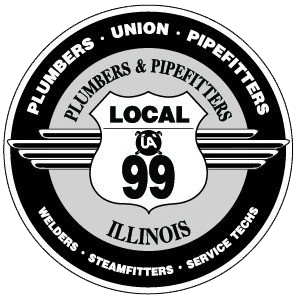 Whether you're looking to refine your skills in the plumbing, pipefitting, HVAC, and welding industry or are looking to begin a new, lucrative career, UA Local 99 can help. Located in Bloomington, Illinois, our union training courses and apprenticeship programs teach you the science behind these industries. You will learn how to work efficiently, the skills needed for installations, and all of the latest technology used in the field. It doesn't matter if you're in the commercial, residential, or industrial field; here you will learn the skills to get the job done correctly. continue excellence in the piping industry for today and the future. Our training center and referral hall is equipped with highly-trained individuals who focus on imparting wisdom in a timely and affordable manner. The skills are continually updated on the mass technology changes within these industries, so rest assured these trainers are able to provide you with the best values and information possible.